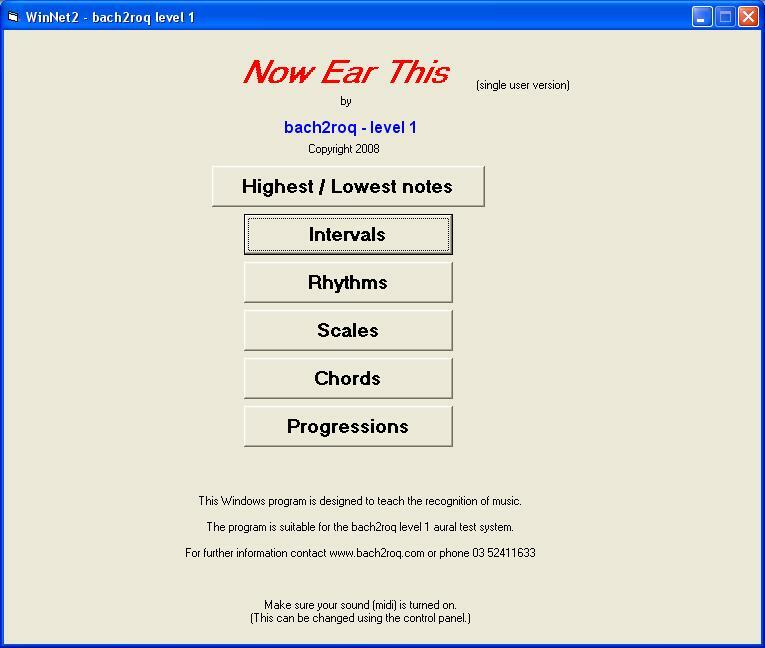 This free program includes the level 1 bach2roq course aural tests. 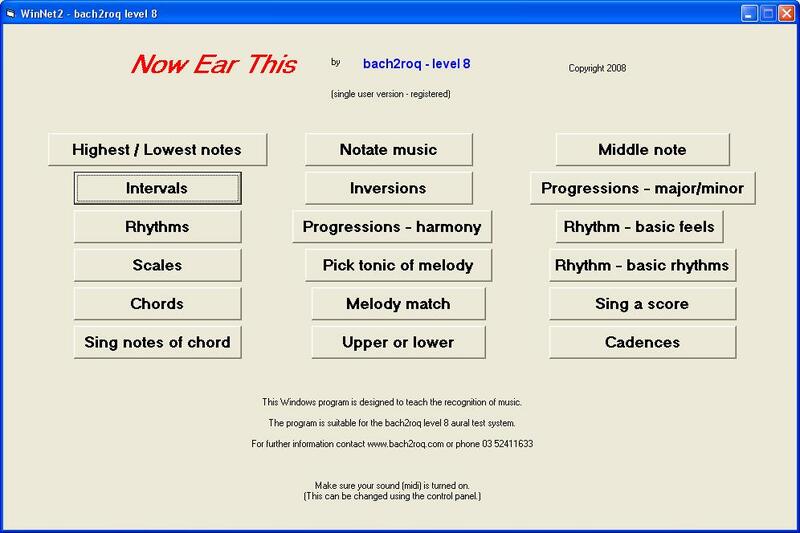 This program includes the levels 1 to 8 bach2roq course aural tests. Music aural tests are also an integral component of many music examination systems. In Australia this includes the AMEB classical and CPM systems. We also use aural training extensively in bach2roq courses. A list of our original software, related links, lists of tests, suggestions on of how to use such tests, are shown below.